With the rising cost of healthcare it is important to scrutinize different insurance plans to make sure that you are optimizing your family’s benefits. Dental insurance is no exception. Is the premium you pay for it each month worth the benefit your family receives? Your dentist has some thoughts to share on making the most of dental insurance and other options for reducing dental expenses. 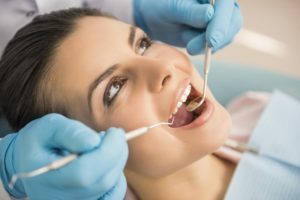 While every plan is unique, even within the same company, there are a few standard things you can count on from your dental insurance. Most plans cover most, if not all of preventive care. This means there is very little (if any) out-of-pocket cost for your family’s cleaning and checkup appointments. Your plan will typically have a yearly maximum. This is the highest amount they will pay for dental treatment throughout the year. Most plans run on a calendar year, with benefits starting in January and ending in December. Benefit dollars that are not used during the year are lost in January when your plan renews. Restorative work is typically covered at a percentage such as 40-50% for major treatment like a crown, and 70-80% for minor treatment like dental fillings. Benefits vary with each individual plan, and some plans may have stipulations such as waiting periods for major treatment. Your dentist’s insurance coordinator can help you determine what your unique coverage is. Many dentists are starting to offer in-house dental plans to help patients who don’t have dental insurance get the treatment they need. In fact, a lot of patients are finding that an in-house dental plan may suit their needs better than a traditional dental insurance plan. When you choose an in-house plan, there is typically a one-time annual fee that covers preventive services in full for the year and provides a discount off of other restorative services. There is never a waiting period for treatment like some dental plans have, and many in-house plans offer a savings on cosmetic services, which are typically never covered by dental insurance. An in-house savings plan can also be beneficial for patients who are struggling with periodontal concerns, which may require additional cleaning appointments during the year that may not be covered by dental insurance. If you have questions about the option that might be right for your family’s needs, contact your dentist’s financial coordinator for more information. Boyles General Dentistry & Implant Center combines the talents of three dentists who bring nearly 80 years of combined experience to their patients. We offer our patients a low-cost in-house dental plan to help defray the cost of most treatment procedures. We also offer comprehensive services that allow us to meet all of our patient’s needs here at our office. Would you like to learn more about Boyles General Dentistry & Implant Center? You can reach us by calling 432-685-7011 or through our website.